Safety is our #1 concern at Garten Trucking. All of our equipment is thoroughly inspected by trained personnel before it leaves our sites. Our drivers are trained as well to perform a pre-trip inspection of their equipment daily. We are a D.O.T carrier with Intrastate for hire authority. We strictly follow the D.O.T guidelines and are proud of our record. At Garten Trucking we do pre-employment drug screens for all of our employees. We routinely do random drug and alcohol tests on our drivers and other employees thereafter. Garten Trucking operates a fleet of modern Mack, Freightliner and Peterbilt tractors. Most of our power units are less than two years old. All of our trucks are equipped with Teletrac tracking systems to ensure location and safety of your load at all times. We hire only experienced drivers who are dedicated to the needs of the customer and the service provided. We currently have over 183 cargo/trailer units in our pool. We also have interchange agreements with most carriers. 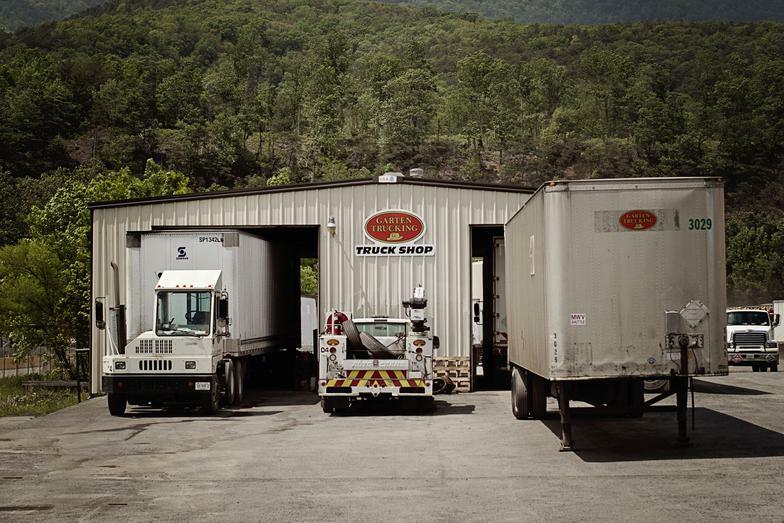 All equipment is maintained at the company owned truck shop and Trailer Shop by professional maintenance technicians. The entire fleet has a stringent preventative maintenance schedule to ensure the safe and efficient operation of our trucks and trailers.